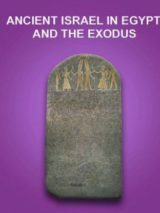 Israel Finkelstein, author of The Forgotten Kingdom: The Archaeology and History of Northern Israel, Society of Biblical Literature Ancient Near East Monographs 5 (Atlanta: Society of Biblical Literature, 2013). 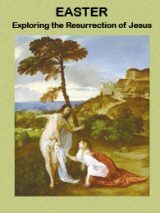 BAS Library Members: Watch eight lectures showing how archaeology illuminates the Bible by master teacher and world-famous archaeologist William G. Dever, created exclusively for the Biblical Archaeology Society. What does urban anthropology tell us about the capitals of Israel and Judah? Learn more about the administrative and regal-ritual cities in Bible History Daily. Monumental discoveries from the excavations at the fortified site of Khirbet Qeiyafa have redefined the debate over Judah’s early history. In “Khirbet Qeiyafa and Tel Lachish Excavations Explore Early Kingdom of Judah,” learn about new evidence of an extensive civil administration during the time of King David and why the Qeiyafa archaeologists are heading to Lachish. Few Biblical archaeology discoveries have attracted as much attention as the Tel Dan inscription, the first historical evidence of King David from the Bible. For the French edition of The Forgotten Kingdom, Tel Aviv University archaeologist Israel Finkelstein has recently been awarded the prestigious Delalande-Guérineau prize by the Paris-based Académie des Inscriptions et Belles-Lettres. a. See Yosef Garfinkel, Michael Hasel and Martin Klingbeil, “An Ending and a Beginning,” BAR, November/December 2013; Christopher A. Rollston, “What’s the Oldest Hebrew Inscription?” and Gerard Leval, “Ancient Inscription Refers to Birth of Israelite Monarchy,” BAR, May/June 2012; Hershel Shanks, “Newly Discovered: A Fortified City from King David’s Time,” BAR, January/February 2009. 2. See the following works, none cited by Finkelstein: Amnon Ben-Tor and Doron Ben-Ami, “Hazor and the Archaeology of the Tenth Century B.C.E.,” Israel Exploration Journal 48 (1998), pp. 1–37; William G. Dever, “Archaeology, Urbanism and the Rise of the Israelite State,” in Walter E. Aufrecht, Neil A. Mirau and Steven W. Gauley, eds., Aspects of Urbanism in Antiquity, From Mesopotamia to Crete (Sheffield: Sheffield Academic Press, 1997), pp. 172–193; Lawrence E. Stager, “The Patrimonial Kingdom of Solomon,” in William G. Dever and Seymour Gitin, eds., Symbiosis, Symbolism and the Power of the Past: Canaan, Ancient Israel and Their Neighbors from the Late Bronze Age Through Roman Palaestina (Winona Lake, IN: Eisenbrauns, 2003), pp. 63–74; Raz Kletter, “Chronology and United Monarchy: A Methodological Review,” Zeitschrift des Deutschen Palastina-Vereins 120 (2004), pp. 13–54; Amihai Mazar, “The Spade and the Text: The Interaction Between Archaeology and Israelite History,” in H.G.M. Williamson, ed., Understanding the History of Ancient Israel (Oxford: Oxford Univ. Press, 2007), pp. 143–171. 4. While Finkelstein acknowledges that Hazor, a major site in his analysis of the Iron Age northern kingdom, was “probably the most important city-state in the north” (p. 21), neither its Late Bronze Age nor Iron I phases are discussed, presumably because it would complicate the highland-centered interpretive framework he offers. The weakness of this analysis is the mistaken assumption that chapter one establishes a Braudelian longue durée perspective (as explicitly stated but only in the concluding chapter), when in fact this analysis does not meet those criteria. Wait a second. I thought the Tel Dan Stele was inconclusive, yet Burke says that one single piece of evidence that does not definitively translate to “House of David” prove King David existed? As questioned here at Vridar in 2011. There seem to be multiple possibilities from the name of a temple to a name of a place. So, is it Finklestein who came up with the Labayu story or was it David Rohl, and if Rohl came up with it, why did Finklestein ignore Rohls identifying Labayu with King Saul or is it Rohl who followed Finklestein and added his own twist to the story. Conveniently Samuel the prophet. A very important person in the life Sauls life from beginning to end. It seems as usual that Archaeologists have a habit of jumping on some facts and dismissing others in order have an interpretation they can pat themselves on the back and sell their books, while hoping nobody notices the great omission of events that they curiously left out of their interpretation. I will be rather laconic: to my mind Dr. Dever is simply jealous; Dr. Finkelstein work has an intrinsic logic, I subscribe to his point of view. GEN 41:45 And Pharaoh called Joseph’s name Zaphnathpaaneah; and he gave him to wife Asenath the daughter of Potipherah priest of On. And Joseph went out over all the land of Egypt. Amenhotep IV / ‘Akhenaten’, the “Heretic King’ (1400s BC), Egyptian affiliated Governors ruled in the territory of Canaan eg Shechem where Jacob’s daughter Dinah was “raped” by the Egyptian Prince and in retaliation Jadob’s sons took revenge on the men of that City. As a result, the Queen fled to Egypt with Dinah and Dinah’s baby son where they found refuge. In Egypt, Dinah discovered that her ‘missing’ younger brother Joseph was alive and Vizier of Egypt. Dinah’s son was brought up as an Egyptian Prince. And Jacob and his sons and their families were invited to visit ‘Joseph’ and were offered to settle in GOSHEN. Aprrox 200-400 years later, the Israelites left Egypt under the leadership of MOSES – refer EXODUS. Brents comments nails it Finkelstein has been consistently dishonest with re. To the material evidence that does exist, by ignoring crucial finds that disprove his ideas, that he is not reliable source of data,interpretation of archaeology of his field of treatment. I have kept my eye on Finkelstein’s archaeological efforts in recent years and as far as I can tell Finkelstein does not believe in the Bible or it’s historical accuracy. I have seen countless programs on SBS television in Australia where Finkelstein openly denies many of the past biblical archaeological finds such as in Megiddo and Jericho. Finkelstein consistently rejects dates, finds and any archaeological evidence which supports the Biblical account. So what is he now doing trying to prove the biblical account? I wouldn’t believe a word he says on any subject. I thik, Dever and Burke try to destroy the Finkelstein’s theory about the northern kingdom because the lack of archaeological evidence about small kingdoms or states in cananan at the very early years of the Iron Age I, But being evenhanded, they aren’t measuring the facts about the great kingdom of King david with the same pair of scales, where is the evidence of that kingdom?, where is the evidence of monumental buildings, unified administration, pottery, and so on..? The same questions apply to the King Solomon. The only evidence extant currently about both great kingdoms appears on the bible, a mithological book. Thank you, Mr. Devers, for the courage to tell the truth for Finkelstein, when he can’t bring himself to it, much less BAR readers; and thank you BAR, and Mr. Shanks, sincerely, for the continued fortitude to publish it…particularly in the iconoclastic environment we find fostered to prey sensationally on history and archaeology–like Dan Brown selling simply half-baked books. Should Finkelstein have actually received any awards for his disingenuous imaginations, it would rather smack of Arafat’s claim to Nobel, and the Peace we’d otherwise enjoy. Perhaps Finkelstein should sell his books as fiction, and remain more respectfully truer to his cause. It would be a refreshing improvement. I always took Finkelstein as an archeological minimalist. His dates do not conform to the main stream but I have read one of his books taking this into account and still learn a great deal I did not know. And though his chronological time line differs from others there still must be enough good material in his book to receive such accolades. Michael> What we have here is Dever’s interpretation opposed to Finklestein’s. Rose> It’s Finkelstein who is making the claim not Dever. Finkelstein cites some evidence and attempts to restructure the chronological framework of Israel with this evidence. Even though the chronological framework is dynamic and accounts for all the known data from all of the known cultures over thousands of year, as new data and information comes to light the chronological framework of Israel changes (we update it). Finkelstein attempts to change the chronological framework of Israel, the onus is on him to show his data is valid. Dever doesn’t make any interpretation, he just defends the existing chronology. To Ruth, its not just about verifying data. Its a given that “Science” is about facts and boundaries but it is also about their interpretation. What we have here is Dever’s interpretation opposed to Finklestein’s. I rather think that they will never agree. Nobody will ever be sure who is right but personally I think the father we go back in time the more the role of intuition becomes important in the interpretation and the greater the chance we’ll have of finding answers. T> Simply put, there is no place in academic discourse for such shrill polemics. Rose> Doesn’t polemics refer to criticizing someone’s opinions or beliefs? Is archeology an art or a science? Dever has every right to present his facts that dispute the so-called archeology of Finkelstein. You can’t treat archeology as if it’s theology, history, philosophy or some other form of ‘art’ that can be manipulated by academia. Science is a different animal, as it’s based in facts and boundaries, anyone, anywhere in the world can do the experiments and see the same results. Archeology is a science and Finkelstein deserves to have his work revealed for what it is. In science it doesn’t matter who one actually is if the data can be verified. Sorry i just double clicked. I am not an archeological expert just an interestes sociologist but Dever , in his critique certainly seems a little over the top as though not just that Finklestein is wrong but that he Dever knows best, habitually. I quote “this book is not about sound historical scholarship. Its all about theatre”. Dever reads as if he were a little jealous And that is an attitude that has made me order the “Forgotten Kingdom”. As an academic myself, I’m extremely disturbed by the tone of Dever’s review. Simply put, there is no place in academic discourse for such shrill polemics. I’m sad you chose to publish it as is, but then I remembered that you’re a magazine looking for clicks. A pity. The least you could is let Finkelstein respond. The djed came to be associated with Seker, the falcon god of the Memphite necropolis, then with Ptah, the Memphite patron god of craftsmen. Ptah was often referred to as “the noble djed”, and carried a scepter that was a combination of the djed symbol and the ankh, the symbol of life. Consider the first row of stones in the Breast piece of Aaron. Stones? Or Hebrew text mistranslated as ‘stones’? Finkelstein is such a talented con man. King Solomon’s Temple is still in Zoan (Tanis). It even has the same name as the Biblical one, the Het Kar (Ptah). I’m more in line with Ralph on this one. Nobody has ever been able to demonstrate the border between Israel and Egypt in 1000 BCE or so. The Egypt-Israel border in 1000 BCE is 100% assumption based. The original Solomon’s Temple if found here and its dimensions measure to the centimeter. Just to the north is the sepulture of David where more gold and silver has been excavated then anywhere except the Valley of the Kings. It’s a big Temple facing directly east (for the glory of the Lord) and is in the middle of an unexcavated city. Dr. Sarah Parcak (Space Archeologist), did some digging in the city away from the Temple foundation and determined the site to be from 1000 BCE or so. If Modern Jerusalem was the same p[lace as ancient Jerusalem, then where are the sepultures of David? Didn’t both David and Ramses fight off the Philistines in the same place and at the same time? Isn’t DVD just a transliteration of DJD the symbol of Ramses? Interesting. These reviews appear political, rather than archaeological. What they are saying is: “we know King David existed, therefore Finkelstein is wrong”. But nobody wants to see this evidence, so it is shunned and buried. Religio-politics trumps archaeology again.